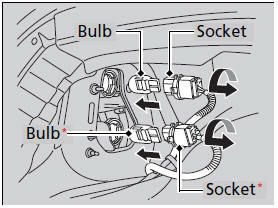 Brake/taillight and rear side marker light bulbs are LED type. 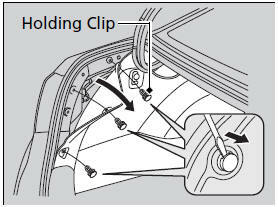 Have an authorized Honda dealer inspect and replace the light bulbs. 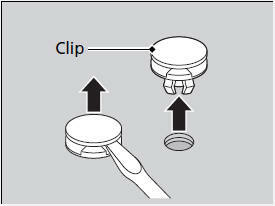 When removing the clip, insert a flat-tip screwdriver, then lift and remove the clip. 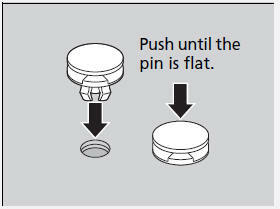 Insert the clip with the pin raised, and push until it is flat.